We are the Star Councils of Light. 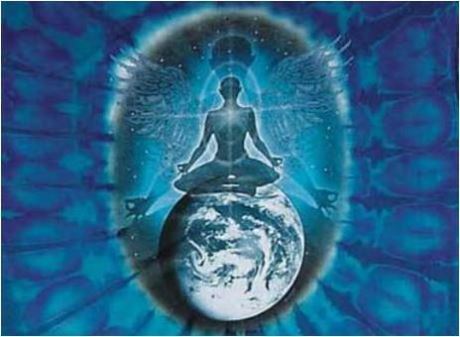 We are a group of Light beings, most of whom have been in the physical world that you inhabit at some time or other, but who are now in Light-body form, and who have chosen to assist the earth planet and her people at this time where you go through THE SHIFT. The shift is a term which is being used for the transmutational process which occurs in 3D on your planet. Transmutation means that matter moves from one state of being into another state in energetic terms, so that something which has been physical, for instance, is changed into a higher dimensional frequency which is more like light. In alchemy terms it would be like a solid being manifested out of a liquid, or a liquid changing into a solid. You understand that there is a substance, but that the nature of that substance is transmuted or changed. And the shift on your planet is about the transmutation of the 3D world into a higher, finer frequency – a 5th dimensional frequency in which things appear and are experienced to be less solid, despite the fact that you are still on the Earth plane and in the same reality. This is needed because it is part of your evolution - it is part of the reason you have come to this planet at this time, in order to go through the shift. And once the shift is fully in place, then you will be able to operate from the level of consciousness in which we exist; from this level of being in which your thoughts are manifested instantly – in which you can choose whether to be physical or in Light-body at will, just as we can. These 'siddhis' as they have been called by the yogis, are already accessible to you – you are already able, at will, to change from physical into Light-body form. You are already able to communicate telepathically. You are already able to heal through sound-light-crystal frequency. You Earth beings have these abilities within you, within your 12-strand etheric coding – within the etheric coding in your Light-bodies, which is down-loading now. And you are simply in the process of remembering how to access these things – how to remember your true abilities and gifts – remembering how to exist on this higher level while still embedded into your 3-D reality. We speak of the Earth shifts which occur at this time, through the moving of the tectonic plates deep within the ocean beds. These shifts are affecting all of you, and according to your stage of energetic integrity and evolution, some are moved into distress on a physical, emotional or mental level more than others. We will give you some guidelines for coping with these shifts. You have understood, you awakened ones, for some time, that these shifts within the Earth body are necessary for the cleaning process of your planet. The more you are able to move into energetic integrity en-masse, the less of these Earth shifts there will be. But at this moment there is no alternative but for your planet to shift. And with the shifting there is destruction and disruption within your Earth life, and there is no other way to get around this but to teach yourselves and those who you can assist around you how to ground effectively – how to recharge – how to maintain an energetic connection which is in integrity with your core crystal - with the centre of your planet. For if we consider the directions of above and below, within your ability to connect vertically, for the moment it is more important for you to connect with the core crystal than with the higher spheres. It is more important, in other words, for you to stay grounded on every level - emotional, mental & physical – for without this grounding you will become disjointed, fragmented and confused. Without this grounding, your physical body struggles to integrate the energetic changes around you. And so we will go through a practise with you now. Sit in your meditation pose, whether it is on the floor or in a chair. We ask you to focus on your central core which spins through your chakras. Visualise the 7 internal chakras, beautiful spinning vortexes of colour – red at the root, orange in the belly, yellow at the solar plexus, green at the heart; sky-blue at the throat, indigo blue in the third eye, and violet and white at the crown. Visualise this rainbow spinning within you – red, orange, yellow, green, blue, indigo & violet. And through these internal energy wheels you perceive a white or silver light. This is an energy which flows constantly within you – there is an upward and downward motion within this central core. As you perceive this central core from Svadhisthana in your belly, you send a grounding cord down. This cord is silver, it connects from your belly down through your root chakra, though the Earth Star Portal at the bottom of your aura and down, down through the Earth layers, through the crystal beds, down through the beauty of the inner worlds of Earth – and into this great being – the source of all your life in 3-D, the core crystal of your planet. We wish you to perceive that this connection is energetic. It is magnetic. There is a sense of being drawn downwards into this source of all gravity. And you feel this in your body; a feeling of heaviness – magnetic pull and heaviness. More important than anything else within this technique of grounding is a feeling of relaxation and open heart. Your heart is open, you feel in love with your planet, and you trust that you are connected with her. You trust that is what allows you to receive heling and stay in physical health and integrity. You send this cord down with love, connecting into the Great Mother, just as a child connects to her mother through the breast, so you connect into the Great Mother through this cord. Perceive that you are nurtured; that you are nourished. Spend time dear ones, each day, sending this cord down and opening your heart to the planet, staying in a sense of trust that you are safe, and that the energetic shifts and changes that occur on your planet happen as they need to happen, and that you are safe. Say out loud ‘I am safe in my body and on this planet’. Allow yourselves to move into this sense of safety – for many of the feelings that arise within your emotions that make you feel unsafe; that make you feel insecure in your body and on your planet and cause anxiety about your health – many of these thought do not belong to you. They come from other times and arise in your consciousness triggered by the Earth changes. Stay with your own reality. Stay with this feeling of love for nature and Earth, and your own experience of safety; your own experience of trusting the Earth; trusting your body; feeling your body as one with the earth body. Sending your grounding cord down, perceiving the silver magnetic flow which moves from your belly down to the core crystal and back up into your body. Say out loud ‘I am one with Gaia’. Experience this now, dear ones, your one-ness with the planet. Spend time in nature; spend time lying or sitting or walking barefoot on the Earth, allowing yourself to feel her strength and beauty, reminding yourself that you are safe in your body and on this planet, sending your love into the planet, assisting her with her re-birth process. We trust that we have assisted you at this time, we are with you dear ones, we send great love and blessings your way. We understand that these Earth changes are difficult for you, but they will pass. These shifts will come and go. They are part of your transition, of the shift, of your transmutation into a higher frequency – and this is extremely positive. This is a wonderful process! But just as giving birth to a baby seems traumatic as you move through the process, but is a great joy and blessing, a wonder, when completed – so is this part of your journey sometimes experienced as traumatic. You simply need to stay in your heart, keep your bodies healthy and ground yourselves every day, perhaps several times a day, in order to stay in integrity. You have no choice but to make your lives more simple – for the many complications in your life – that modern life necessitates – these many complications on every level that you allow in your lifestyles, do not serve you, and will not be tolerated in the greater scheme of things. You are all moving back into lives and a way more or simple, more like your ancestors – and you begin this now with a simple practise of grounding every day; staying connected with Earth whether you live in nature or in the city, it is always possible, desirable, essential. And so it is. Namaste.